"Men's hearts shall fail from fear...for the planets of the heavens shall be shaken" (Luke 21:26). It slowly dawns on her that the government is fostering a massive conspiracy to keep the public oblivious to the truth - Earth is facing an existential threat. Unwilling to be silenced, she recruits fellow astronomer Ariele Serrafe to evaluate her discovery, placing both in the crosshairs of government agents. 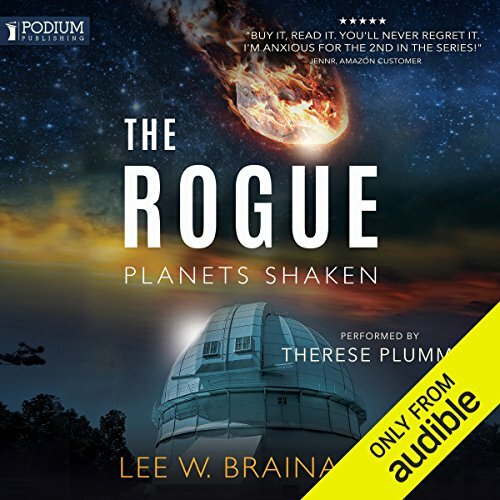 Set in a dystopian vision of the near future, The Rogue, the first volume of the Planets Shaken series, weaves the threads of biblical prophecy, ancient history, government conspiracy, and electric universe theory into a thought-provoking, tensely plotted thriller - one that asks us to reconsider the nature of the universe and the destiny of the world. For anyone who enjoys apocalyptic, bible prophecy, Christian fiction.